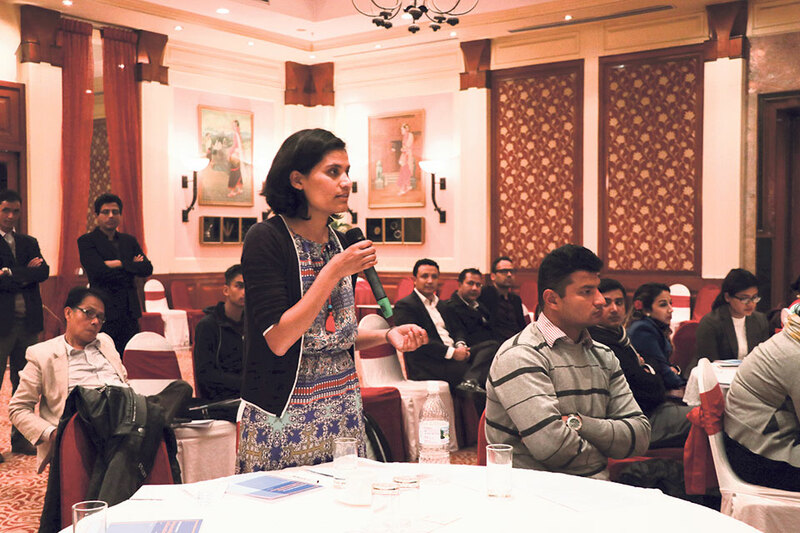 KATHMANDU, Feb 28: The first issue of ‘International Journal of Entrepreneurship and Economic Issues’ published by King’s College, Babermahal was launched amid a program at the premises of Hotel Radisson, Kathmandu on Tuesday. Upasna Achharya hosted the program. Dr Swarnim Wagle, former VC of National Planning Commission, was invited as the chief guest at the program and he launched the journal. The program comprised seven different sections, including guest registration and panel discussion among others. Executive Director of Kathmandu Living Labs, Dr Nama Budhathoki; Dean of KUSOM, Prof Dr Bijay KC; and CEO of Everest Bank Limited, Someshwor Seth, were invited as panelists for the discussion, while Editor-in–Chief of Republica English Daily, Subhash Ghimire, was the moderator of the discussion. The panel discussion was based on making academic research more useful for the society. The in-house journal aims at promoting the culture of dedicated research. Former Director of Nepal Rastra Bank, Dr Binod Atreya; Associate Professor at KUSOM, Dr Binod Krishna Shrestha ; Education Consultant at World Bank, Nepal Office, Rashmi KC; Coordinator at TU MIRD, Prof Dr Khadga KC; Head at Central Department of Management at Tribhuvan University, Dr Bhoj Raj Aryal; Former Secretary at Nepal Government, Pratap Kumar Pathak and Prof Bertam Bruce from University of Illinois were some of the esteemed guests present at the program.